Light as a cloud. 72-hour hydration. 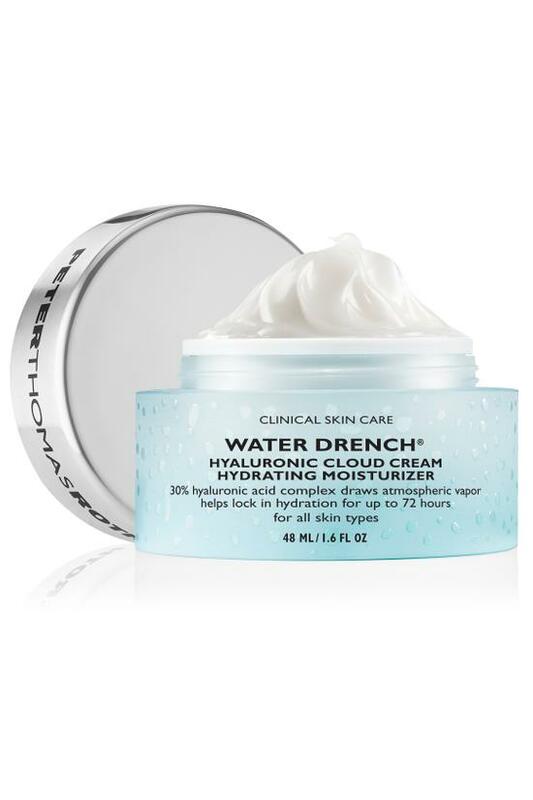 Cloud-light moisturizer with three molecular sizes of hyaluronic acid (the superstar hydrator renowned for its ability to attract and lock in moisture from the air) drenches skin with endless, youth-giving hydration that lasts a full 72 hours. Ceramides replenish skin's depleted lipid layer to naturally plump and smooth skin, blurring lines and wrinkles. For best results, apply twice daily to face and neck and with continued use. For external use only. WATER/AQUA/EAU, GLYCERIN, DIPROPYLENE GLYCOL, DIMETHICONE, CYCLOPENTASILOXANE, CYCLOHEXASILOXANE, YEAST EXTRACT, SODIUM HYALURONATE, CERAMIDE EOP, CERAMIDE EOS, CERAMIDE AP, CERAMIDE NP, CERAMIDE NS, SAMBUCUS NIGRA FRUIT EXTRACT, HYDROLYZED SILK, SODIUM PCA, TOCOPHEROL, ASCORBYL PALMITATE, CAPROOYL PHYTOSPHINGOSINE, CAPROOYL SPHINGOSINE, SACCHARIDE ISOMERATE, SACCHAROMYCES/MAGNESIUM FERMENT, SACCHAROMYCES/IRON FERMENT, SACCHAROMYCES/COPPER FERMENT, SACCHAROMYCES/SILICON FERMENT, SACCHAROMYCES/ZINC FERMENT, OLEA EUROPAEA (OLIVE) LEAF EXTRACT, METHYL GLUCETH-20, ETHYLHEXYLGLYCERIN, LAURYL PEG-9 POLYDIMETHYLSILOXYETHYL DIMETHICONE, CHOLESTEROL, SODIUM CHLORIDE, SODIUM CITRATE, CITRIC ACID, BEHENIC ACID, PROPYLENE GLYCOL, CETEARETH-25, BUTYLENE GLYCOL, DIMETHICONE/PEG-10/15 CROSSPOLYMER, CETYL ALCOHOL, DISODIUM EDTA, SODIUM BENZOATE, POTASSIUM SORBATE, PHENOXYETHANOL, MICA.